Your wrist is about to get so many double takes once you start rockin’ this Fossil Machine 42mm Three-Hand Date Stainless Steel Watch. It’s called industrial chic, ever heard of it? 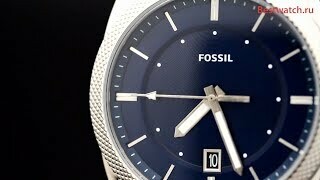 This wrist candy is the talk of the town with a textured bezel, stainless steel bracelet, and a cool blue dial. Both rugged and classy, this 42mm watch completes your everyday look with an oversized case, quartz crystal oscillation, and a 24mm interchangeable strap. 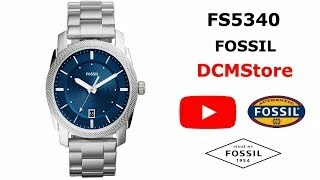 Tick tock, you’re right on time to look fresh-to-death for the office or your weekend plans by adding this Fossil Machine Collection Men’s Watch to your wrist.